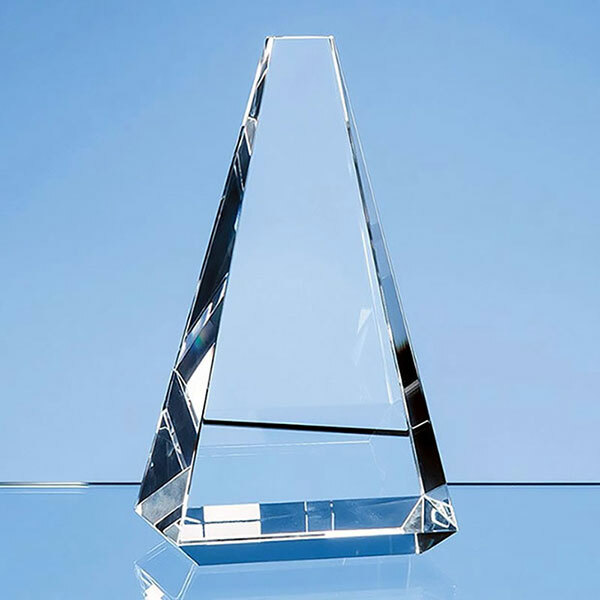 A stylish clear glass award with clean lines and elegant shape, executed in flawless optical crystal. These Vantage Peak awards are perfect to recognise and reward the peak of achievement. They provide a large area for personalisation and are offered here with engraving and/or colour print options. Each award is supplied in a foam-lined presentation box.